The intricately woven Edge Armchair (Sampulut) has a thin, sturdy steel frame, with a sleek, angular design that makes it a unique piece of outdoor furniture. 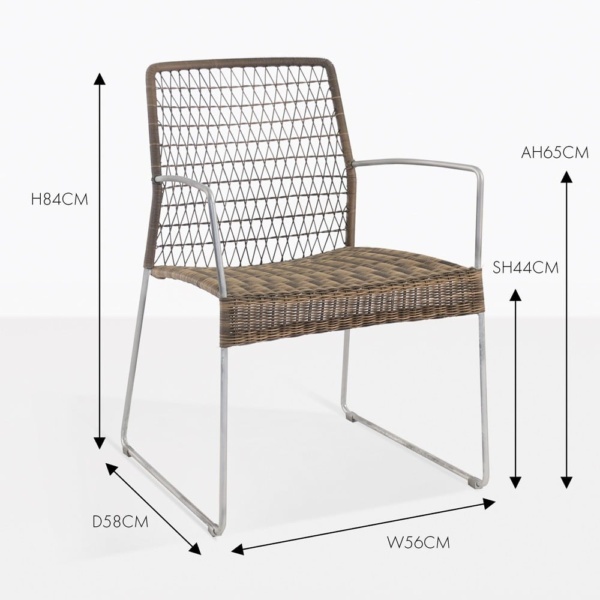 Its synthetic all-weather outdoor wicker fibre is woven so the chair ‘breathes;’ allowing the air to flow freely through the back and seat, keeping you cool during hot summer months. 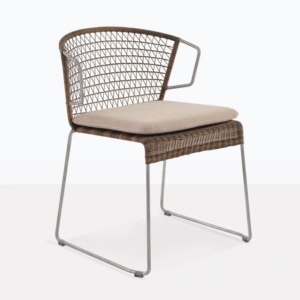 The Ecolene® polyethylene synthetic wicker woven on the Edge Armchair is a modern-day reincarnation of the fibre that looks and feels like natural rattan, yet has been specifically designed for outdoor furniture. 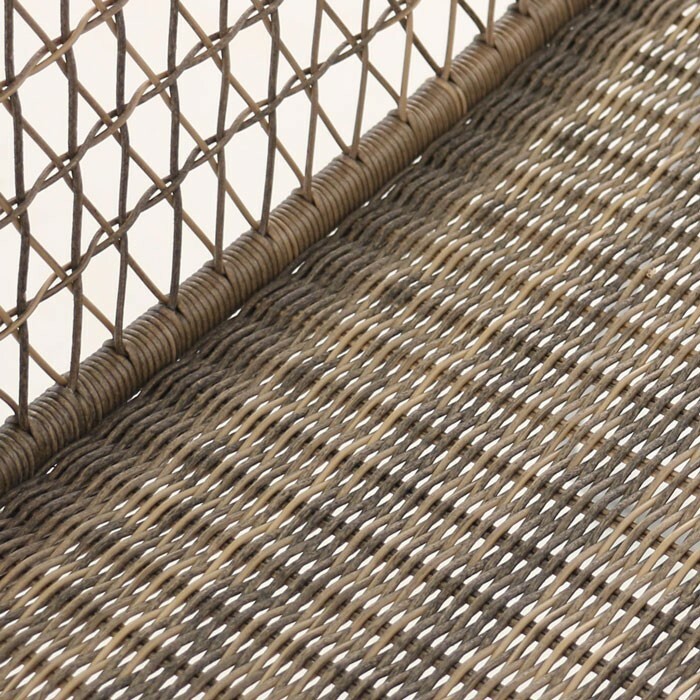 It’s more durable and insensitive to temperature changes and free from cracking, splintering and peeling. Offsetting the natural tones of the Sampulut wicker colour, the galvanised steel frame adds a timeless quality and functional appeal to the armchair. The thin frame belies its strength and durability. 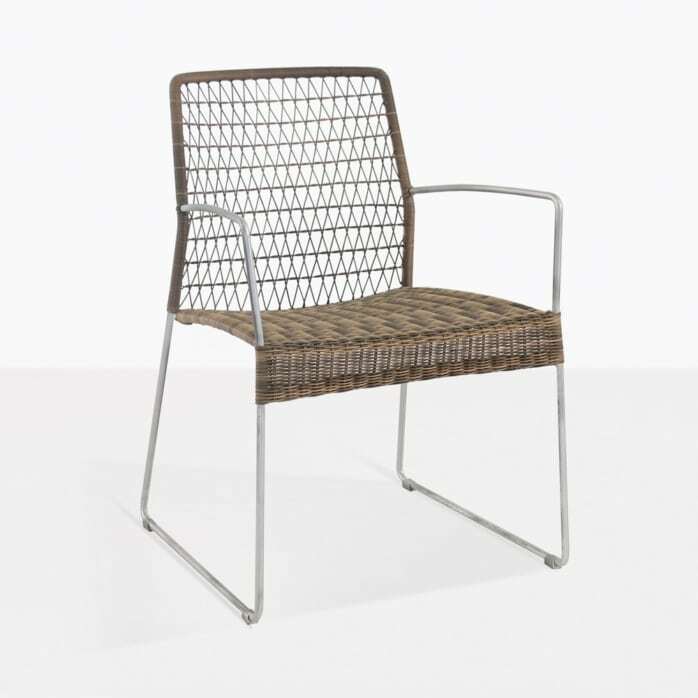 And this Edge armchair is lightweight, so it’s easy to move around your outdoor living space. 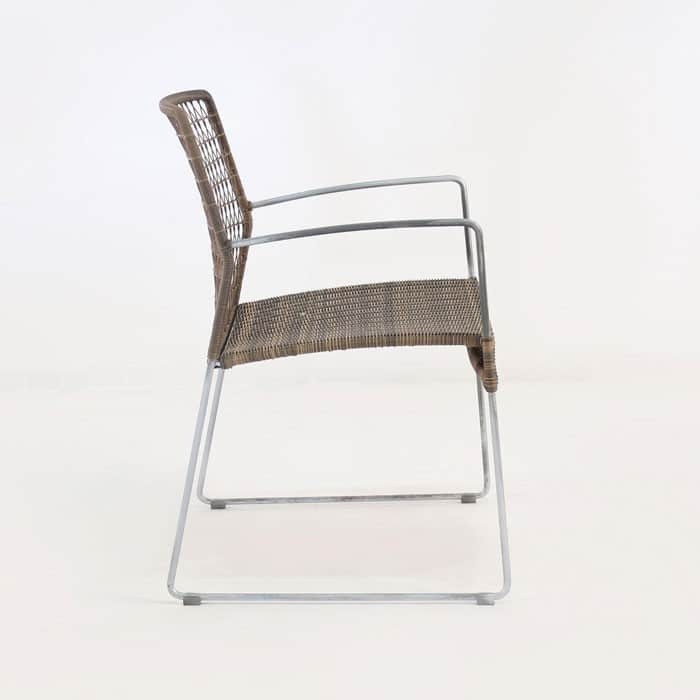 Use the Edge Armchair (Sampulut) for outdoor dining or to just simply relax. 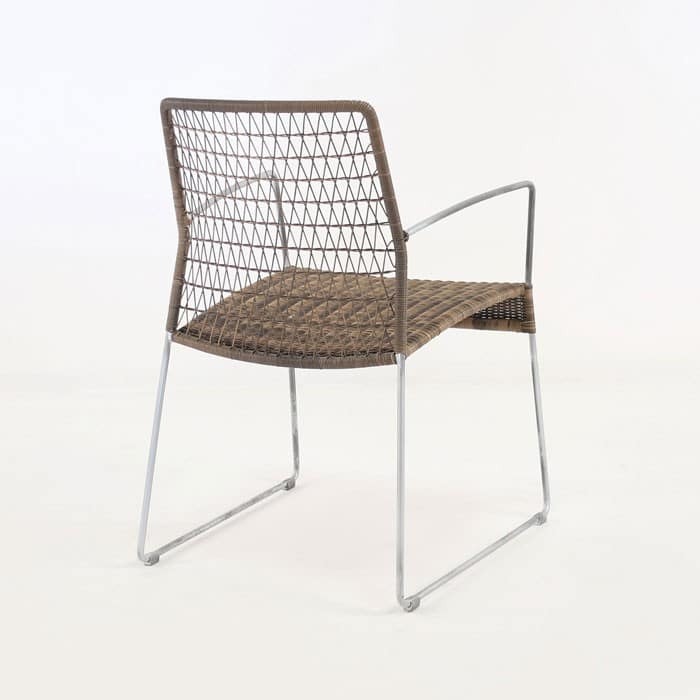 It will fit well with most types of outdoor furniture, like teak, stainless steel and raw concrete dining tables, also available from Design Warehouse.